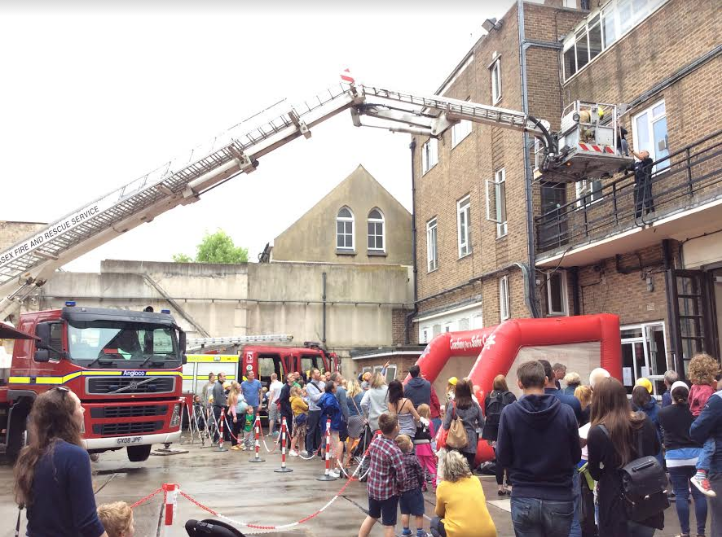 Crowds flocked to Preston Circus Fire Station in Brighton for its open day today (Saturday 22 July). 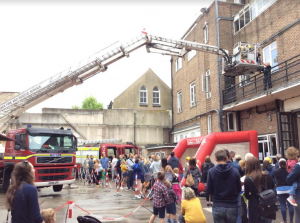 The event was particularly popular with families – and parents and their children queued for a chance to sit in a fire engine. 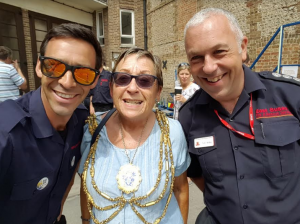 The event was officially opened by the mayor of Brighton and Hove Councillor Mo Marsh – just yards from a café called Moe’s at the Circus. There were demonstrations including a flaming example of what happens if water is poured on a chip pan on fire. And one of the three aerial ladder platforms used by East Sussex Fire and Rescue Service was on hand to carry out a mock rescue. Crew members from the fire station at Roedean, in Brighton, and from Hove joined the fun.